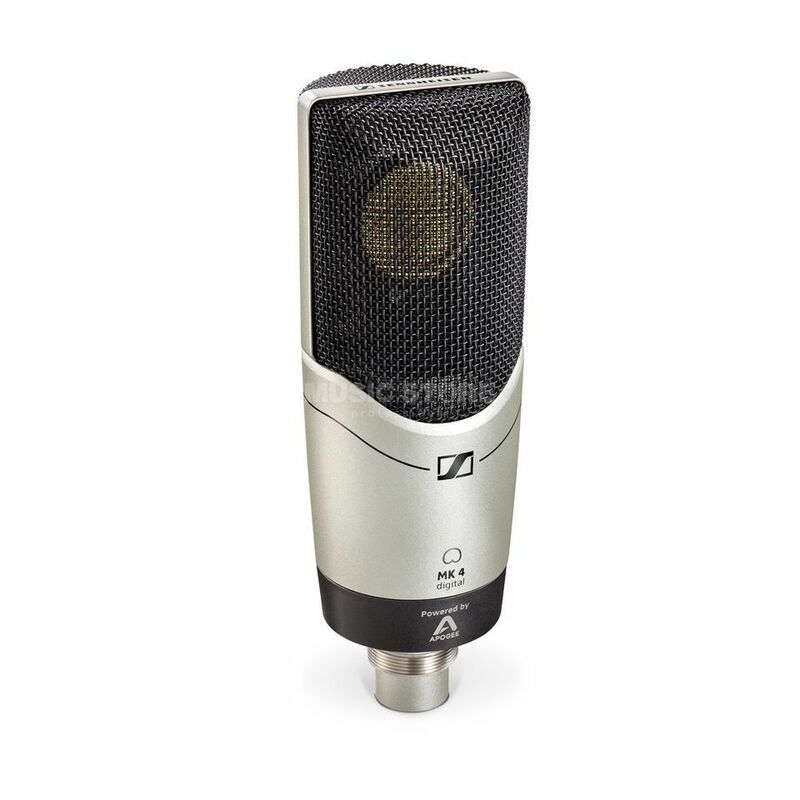 The Sennheiser MK 4 digital microphone combines the simple handling of a USB microphone with the high-resolution sound of a large-diaphragm condenser microphone. It can be easily operated on iOS devices, Mac or Windows computers. The MK 4 digital is therefore ideal for mobile use on a laptop, iPhone, iPod Touch or iPad, where the warm and detailed sound of a condenser microphone is a must. Vocals and acoustic instruments in particular are enhanced by the use of a real-code stator microphone. The MK 4 digital is also an ideal solution for voice recordings such as dubbing and podcasts, combining the demands of modern studio technology with the simplest of handling. The heart of the MK 4 digital is the gold-plated 1 inch large diaphragm capsule. It is handmade and provides the special warmth and the high-resolution shine of the images. The signal conversion is done in 24 bit/96 Khz just as professionally and is done by converters from Apogee. The microphone can be used with all major media production applications, including Logic Pro X, Final Cut Pro, Cubase, Adobe Premiere, Pro Tools and Ableton Live, as well as iOS recording apps such as GarageBand and Apogee MetaRecorder. The matching elastic suspension MKS 4 can be found here.